20th April 2018: The formidable journey towards the ultimate ‘Success’ to head the beloved nation is a slow and steady process in Politics. Passion, Patience, and Perseverance are the three main characteristics an individual must possess of the highest order. It takes years of dedication, hard work, respect, care, follow senior leaders pleasing them all the time and constantly climbing the stairs, one step at a time. The aspiration to lead one’s nation may arise in early childhood or during the age of maturity. The impeccable aspiration usually develops in an individual’s heart to serve the nation, because of two factors – Patriotism or Greed! To reach the top becomes the ultimate aim and goal of every inspiring leader in the political world. 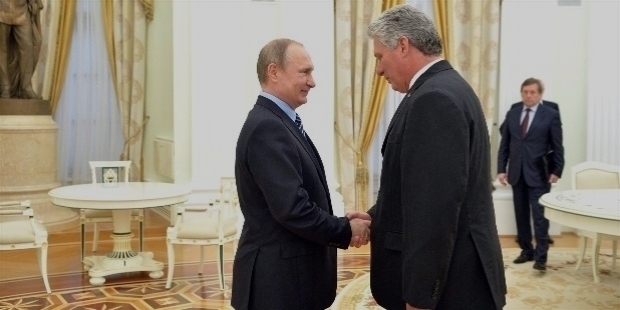 Having served as the Vice President of Cuba since 2013, Miguel Mario Diaz-Canel Bermudez became the 19th President of Cuba on the 19th of April 2018. President Raul Castro, the 86-year-old President stepped down after completing his second full five-year term. 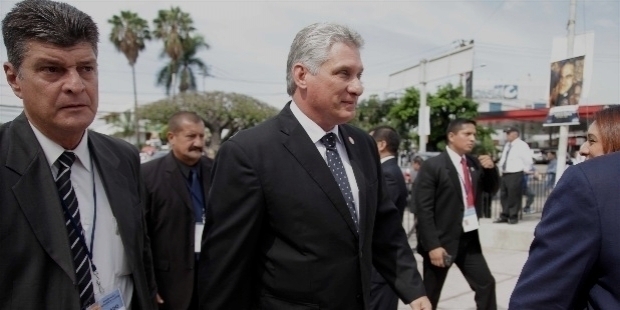 Destined to lead his country, Miguel Mario Diaz-Canel Bermudez has grown to become an efficient leader, who has climbed one step at a time from his early twenties. 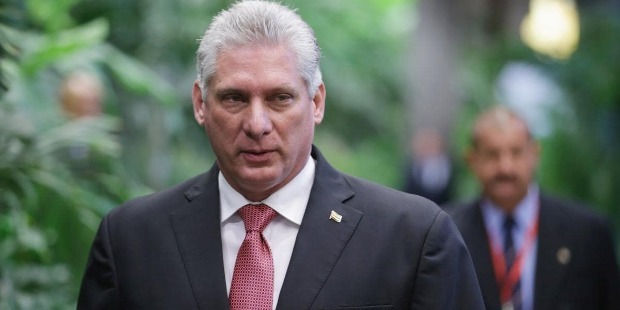 The 58-year-old 19th President of Cuba Miguel Mario Diaz-Canel Bermudez has a daunting task at hand to lead his nation. Cuba has had nearly six decades of historic rule by the Castro Brothers – Fidel and Raul. With the 1959 Cuban Communist Revolution behind and the Castro Brothers’ regime ending, Miguel Mario has tremendous pressure and big challenges ahead. His articulate and suave image is neither revolutionary by any means, nor is he a Castro. The Cubans have always stood by their supreme leader Castro Brothers. 86-year-old Raul Castro will continue as ‘the superior guiding force of Society and the State’ and the Chief of the Army. 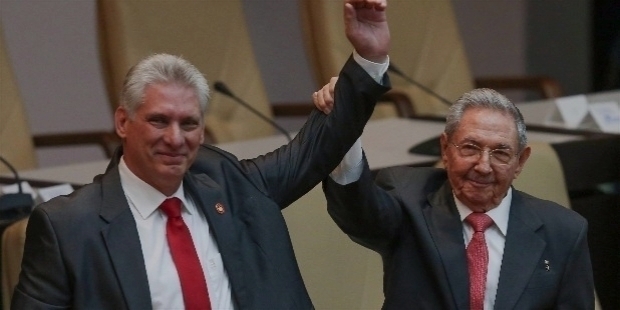 Raul Castro retains the power as the Head of the Communist Party. The smooth transition of power is seen by the political circle and critics as a carefully managed transfer of power by Castro. The fact cannot be denied that Miguel Mario has had great influence of the Castro Brothers, under whom he has ascended to the position of Vice President. He is considered an intelligent politician, who has gained Castros’ blessings and the top brass by saying and doing the right things. One of the biggest challenges for Miguel Mario is to elevate the disarrayed closed Cuban economy. The nation’s sliding economy has been on the slide since many years. Miguel is known for his hard work, modest living, dedication towards public services and maintaining a very low-profile image. 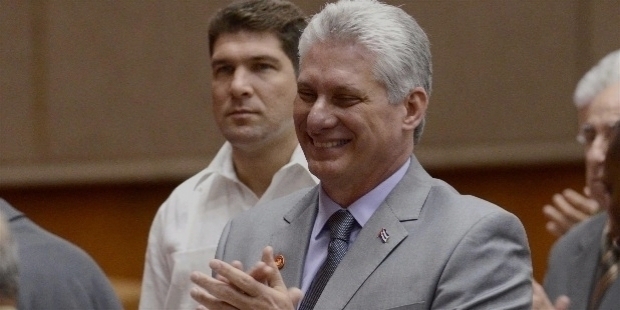 In his first speech as Cuban’s 19th President, Miguel Mario Diaz-Canel Bermudez enthused, “The mandate, given by the people to this house, is to give continuity to the Cuban revolution in a crucial historic moment.” His stentorian speech in the assembly emphasized the need to modernize the Cuban economy. In his long speech, the new President complimented the 86-year-old Raul Castro as the best student of his brother Fidel Castro. He paid rich homage to Castro for his decade-long term. Miguel Mario impressed the nation by stating that Cuban’s foreign policy will not be compromised. He would hold dialogue with others, who will treat Cuba as an equal. Cuba has been in loggerheads with the United States ever since 1959 Communist Revolution. Miguel Mario reaffirmed the notion that the transition would not herald sweeping changes to one of the world’s last State-run economies and one-party systems. He promised Cuba would never return to capitalism. How will Miguel Mario defend Cuba’s socialist system, while reforming the nation simultaneously towards better economic progress for the younger generation? It would be an acid test for the 19th President. Miguel Mario has risen into the Communist Party’s ranks by working with dedication for the nation, since the last 30 plus years. His reign would also witness modernization of the economic situations and effective social model. His reputation and stature in the party is unprecedented. Miguel Mario received 603 voted in favor out of the 604 lawmakers present. Miguel Mario Diaz-Canel Bermudez was born to Aída Bermúdez and Miguel Díaz-Canel on the 20th of April 1960 in Placetas, Villa Clara in Cuba. His father was a mechanical plant worker. Young Miguel graduated from the Central University of Las Villas in 1982. 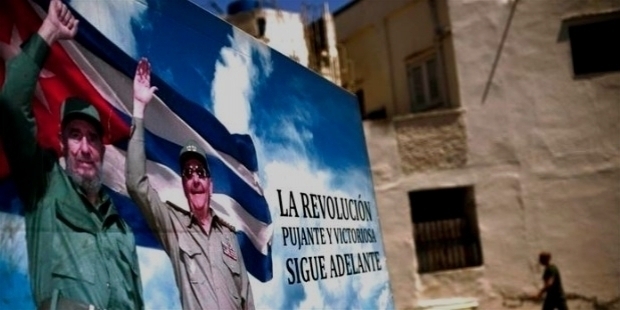 As an electronic engineer, he joined the Cuban Revolutionary Armed Forces. He became a professor at the Marta Abreu University of Las Villas, in April 1985. In 1987, as the First Secretary of the Young Communist League of Villa Clara, Miguel Mario completed an international mission in Nicaragua. Miguel Mario commenced working with the Communist Party of Cuba in 1993. He was elected the First Secretary of the Provincial Party Committee of Villa Clara Province. First Secretary is a prestigious position, which is equivalent to that of a Regional Governor. His caring and competent nature gained him reputation of being a good leader. He championed LGBT rights in Cuba. In 2003, Miguel Mario was elected the First Secretary in Holguin Province. He was incorporated as a member of the Politburo of the Communist Party of Cuba in 2003. From the 8th of May 2009 till 21st March 2012, he was the Minister of Higher Education. A trusted lieutenant of the Castros, Miguel Mario Diaz-Canel Bermudez was groomed and mentored for nearly a year. 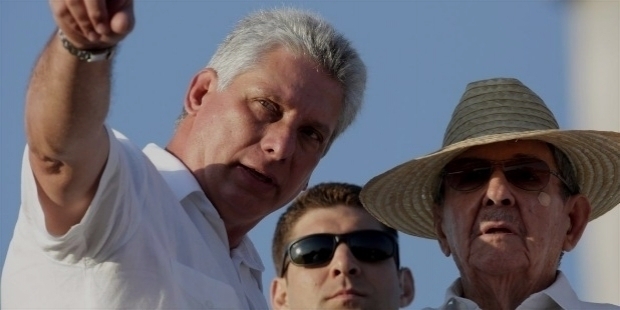 On the 24th of February 2013, He was made the 3rd First Vice President of the Council of Ministers of Cuba. For nearly five years, he worked efficiently under President Raul Castro. Miguel Mario became the first person to reach the highest position of ‘President of Cuba’, born after the 1959 Cuban Revolution. 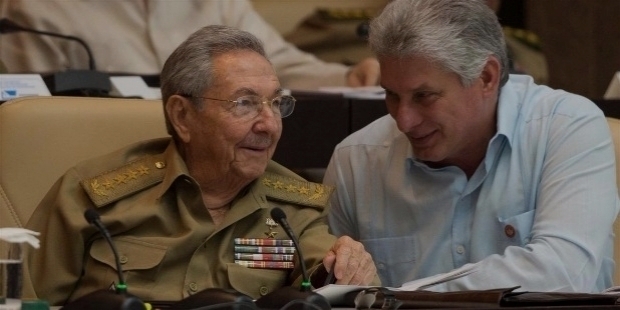 On the 18th of April 2018, Miguel Mario Diaz-Canel Bermudez was elected unopposed to succeed his mentor and guide Raul Castro. This is the perfect ‘Birthday Gift’ for Miguel Mario’s parents, who must have never dreamt for their son to achieve. Miguel’s birthday is on the 20th of April. His 58th Birthday celebration as the new President of Cuba speaks high of an efficient born leader. Miguel Mario is a hardliner when it comes to protecting the nation’s sovereignty. He is popular as a techno-savvy leader, who enjoys rock music and supports LGBT rights. His modern approach casts him in a modern light. Over the years, he has maintained a very low profile in the media. The younger generation needs a leader like Miguel Mario Diaz-Canel Bermudez to lead them towards a better future. He is known to have defended academics and bloggers. He is considered as a reformist. Miguel Mario has to fine tune a great balance between maintaining the ‘continuity’ of the nation and economic progress for the better future of the Cubans. Miguel Mario and his first wife Martha have two children. The couple is divorced. Miguel Mario lives presently with Lis Cuesta, his second wife.